Your place for cute stamps!! 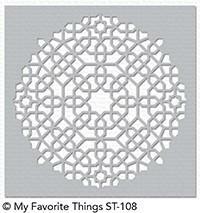 Today's FREE GIFT with a Purchase of $60 or more is the Moroccan Mosaic Stencil from MFT! To receive the free gift your order must be $60 after all discounts are taken off and $60 before Shipping.